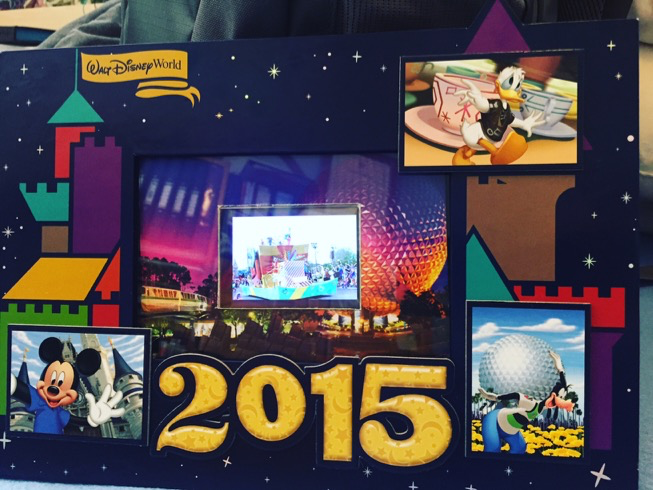 Disney photo frame made with Raspberry Pi #piday #raspberrypi @Raspberry_Pi « Adafruit Industries – Makers, hackers, artists, designers and engineers! One of the things I love about the Pi is how it makes projects that would have been hard a few years ago much simpler. You can probably tell from my homepage that I am a huge fan of Disney and love everything about the parks, the films, the music etc .After getting back from our holiday last year I decided that I wanted a nice way of displaying our holiday photos. This is an incredibly simple build and looks great on my wall. I’ve mounted a Adafruit 2.8” touchscreen display into a smaller frame within the larger frame. A few people have asked why I didn’t use a bigger screen to fill the frame but I wanted my images to match the pictures around the outside of the frame. At the moment the display simply shows photos on a loop but I do intend to add current weather icons to the top right of the image. I am using fbi to display the slide show. 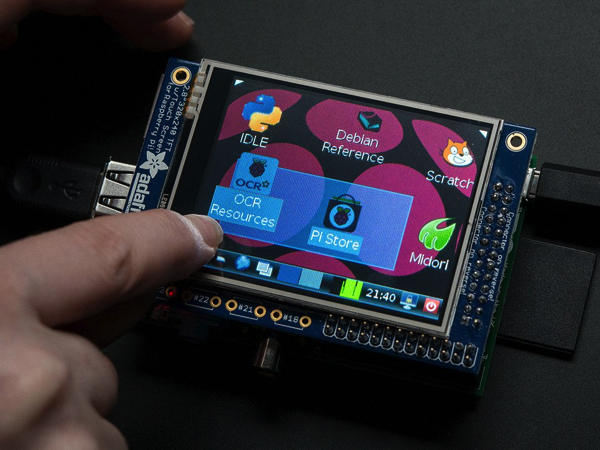 PiTFT – Assembled 320×240 2.8″ TFT+Touchscreen for Raspberry Pi: Is this not the cutest little display for the Raspberry Pi? It features a 2.8″ display with 320×240 16-bit color pixels and a resistive touch overlay. The plate uses the high speed SPI interface on the Pi and can use the mini display as a console, X window port, displaying images or video etc. Best of all it plugs right in on top! Read more.